As soon as I saw the Rica Bag pattern on ithinksew.com, I wanted to make it. 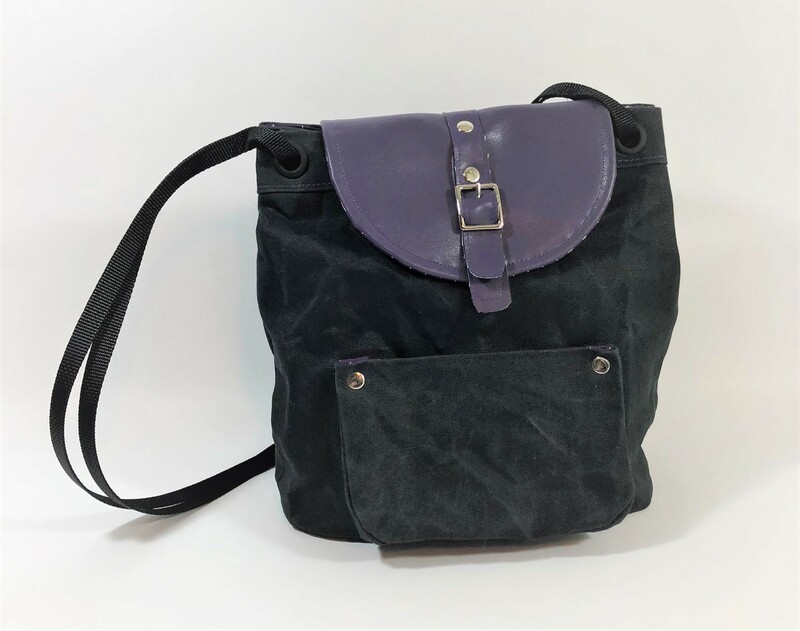 Here’s my version, made out of waxed canvas and purple “eco-leather” for the exterior, and purple arrow print cotton for the lining. I added Peltex to the bottom to make it nice and sturdy. Cute and functional! Love it!